wishing u all the sucess. May gobe be with u.
very Nice to Read. Our wishes to achive the goal by opening new branches for your company in Bangalore,Hydrabad & US. Read this article just now. Very happy for you. Congrats and all the very best and wishing you luck in achieving your goals !! Good Luck in your undertakings. Your business sounds cool and new to me. Encourages people to be more open to languages. Thumbs Up! All the best for your future goal and your expansion of your concern.. But, can u please give a brief about this Blue Elephant? what is this all about? The thing I like most about: CEO of blue elephant - chinmayi..
there is a dancer- chinmayi..
and all of these are individual personalities that you have. wholesome in each of those different things that you do... a truly versatile self! May you have all luck.. I wish you all the success in the world. You have been such a source of inspiration and strength both through your music and through your writing. I am amazed at the kind of passion your writing reflects for every little thing. May the God help you!! 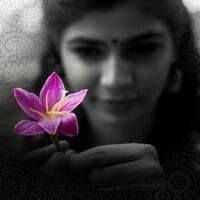 All the Best Chinmayi!! All the best.May your wishes come true. Superb Chinmayi. Your multi-faceted career is quite an inspiration. Congrats on your dubbing for Samantha. I see a lot of positive reviews for actress dubbing in all web reviews for Ye maya chesave.
" I absolutely loved the voice of the artist who dubbed her. She is the same one who dubbed the voice of Sameera Reddy in ‘Surya s/o Krishnan’. It’s husky and contemporary. " Way to go, Chinmayi !! We envy you :). Truly inspirational to all of us. All the best in your never ending endeavours. wishing u all the sucess.